The BayneBooks Series is a series of leadership development tools intended to be used daily to foster the development of youthful leaders. 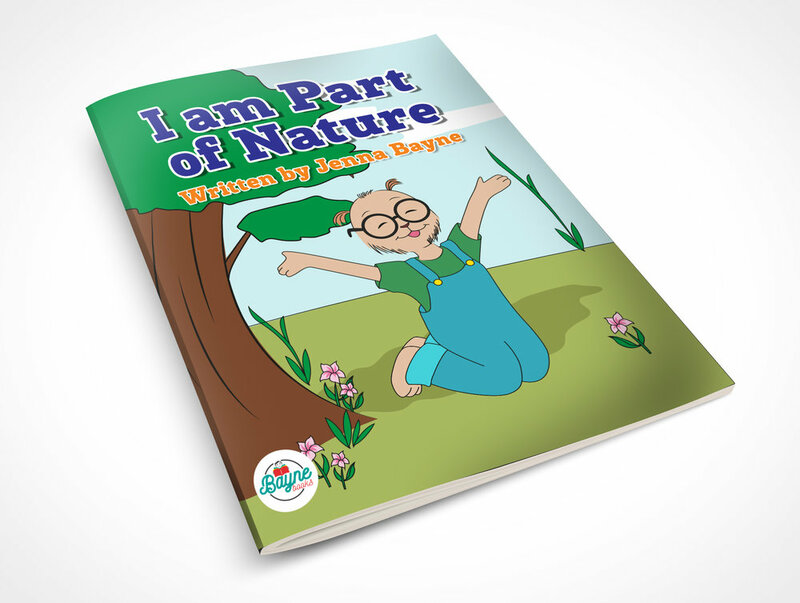 Each book represents one concept that aids in this mission while supporting the neurological development of healthy self-esteem and confidence. In simpler words, the BayneBooks Series are parenting books disguised as children’s books. They are meant to bond the two together while impacting both to become the best version of themselves. Use, I am Part of Nature as a reminder to spend time appreciating and loving your body every day. Use it as a tool to understand how to feed your body what it needs and deserves. You are such a significant and powerful force of nature. Your body is so magnificent. It performs such complex functions without you having to control any part of it. Regardless of the challenges you are facing right now, you have the infinite power of nature flowing through you. This makes you more resilient than you have been led to believe. The physical aspects of your body, such as the color of your skin, the texture of your hair, the cellulite on your thighs or the laugh lines by your eyes, are all beautiful parts of being alive and having a body. Embrace them! Respect and cherish the brilliance of your body. 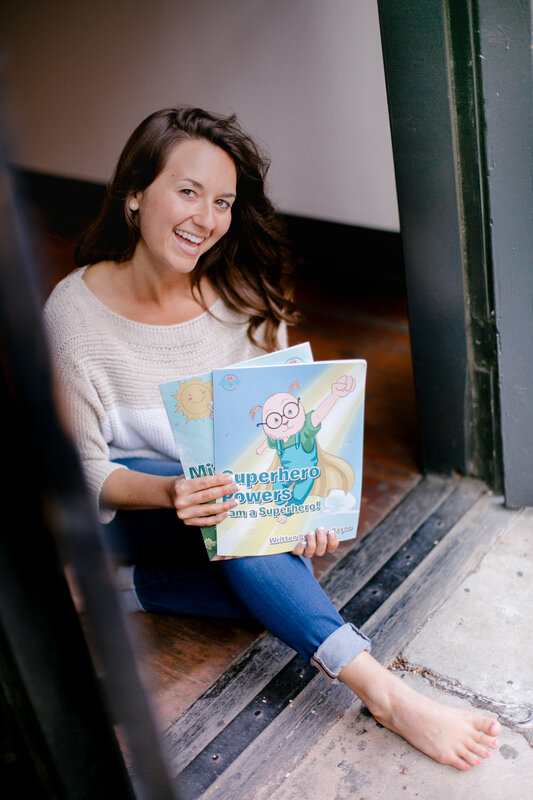 Superhero Powers is just one of the many tools found in the BayneBooks Series. The concept of this book is to remind you that you matter. You are so special. There is only one you who exists and who will ever exist on this planet. The world needs you to show up as the Superhero you are by following your deepest interests and passions. You have so much to offer this world. You have unique skills, talents and interests that make you come alive when you practice them, and it is these special gifts that make up your superhero Powers. Your life mission now is to find your powers and use them wisely. Mis-takes is about redefining how we view mistakes. Mistakes are really “miss takes”. An experience, a trial in this experiment of life, if you will, that is meant to help you grow and become better. We are all doing the best we know how to from day to day. We are not meant to be perfect. We are meant to explore, grow and expand. Mis-takes are just part of this process. They are great learning opportunities. They should evoke feelings of celebration rather than evoking feelings of shame, guilt and disappointment. They are opportunities to try again with a little more knowledge and experience so we can be better than we were the time before. Experience is how we learn. Life is supposed to be fun. Lighten up! Mis-takes is about taking chances and trying new things, and knowing that every moment is a new moment to try again. Mis-takes are the challenges in life that show you what you really want out of life and what you are willing to go after. Mis-takes are gifts. 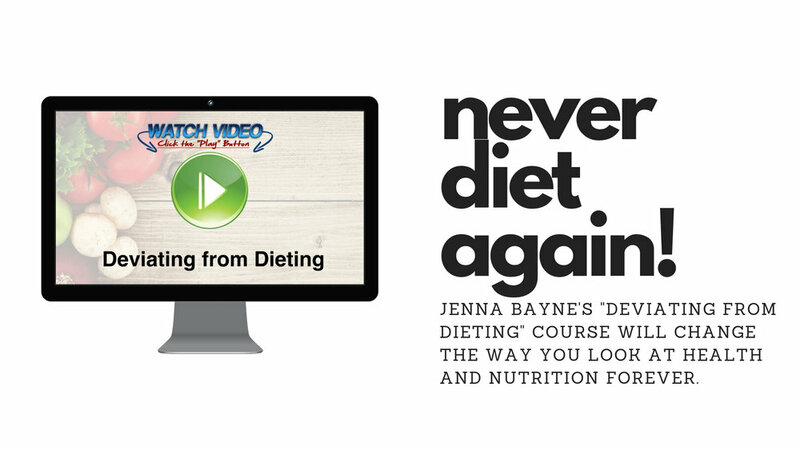 Be the first to hear about Jenna's new book releases by signing up below. It has been said that the only limitations that exist are the ones that we create. 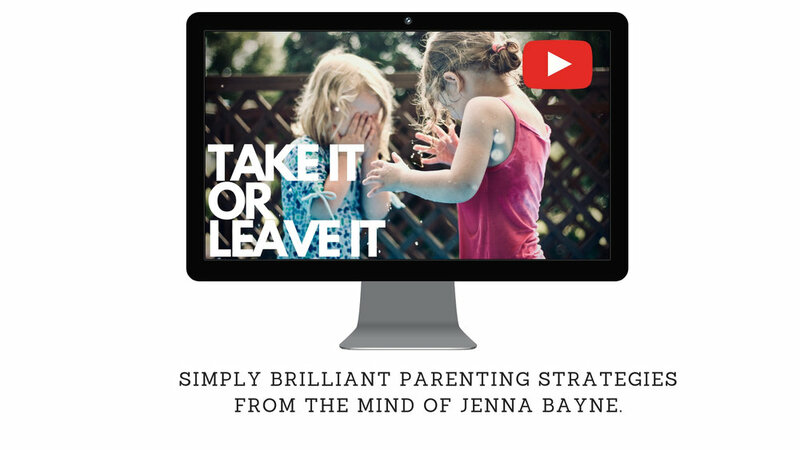 Discover how to break through all of your child's false limiting beliefs so they have the confidence to get what they really want. Death is part of life. Discover how to have those tough conversations with your child and how to support a child through the grieving process. Life is a series of discoveries led by the questions that we ask. Learn the power of a question and how to ask the right ones that will lead to great insights and new possibilities! We all have a mind full of gold. 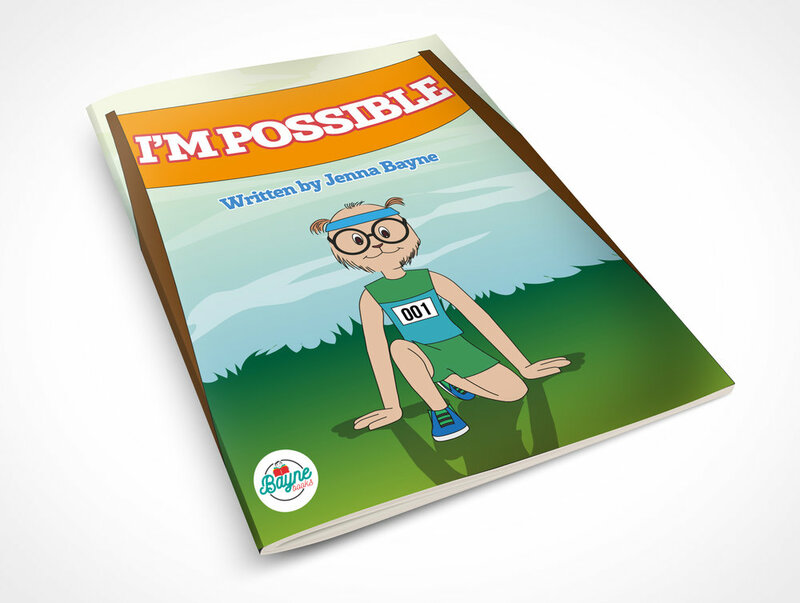 This book will teach your child how to tap into their unlimited potential. A simple change in perspective can shift an unfortunate life event into a hilarious adventure. Find out the easiest trick to staying positive, laughing with those around you and changing the outcome of any unfavorable circumstance in a matter of seconds. Why have "fun" when you can have "Great Big Fun"? Help your child understand the power of a moment with simple strategies that lead a life of happiness and presence. "Hat On Backwards" was created to help your children believe in their abilities, become focused, and work with a greater purpose. Champion is a lesson in self confidence and healthy self esteem. Guide your children to become the opposite of a bully by championing the people around them. Bedtime can be the most frustrating part of a parents day, but that is about to change! 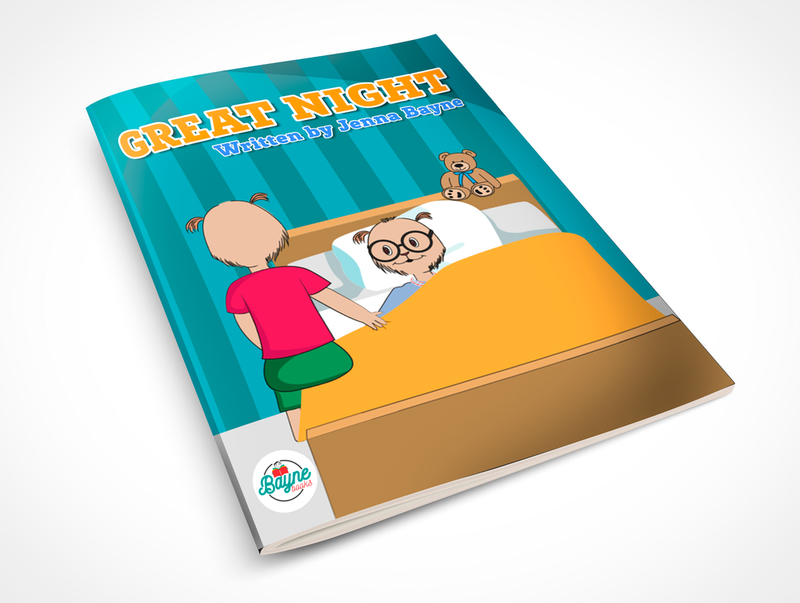 "GREAT NIGHT" will help you and your child bond while creating a bedtime routine that establishes and maintains positive sleep habits while having fun. 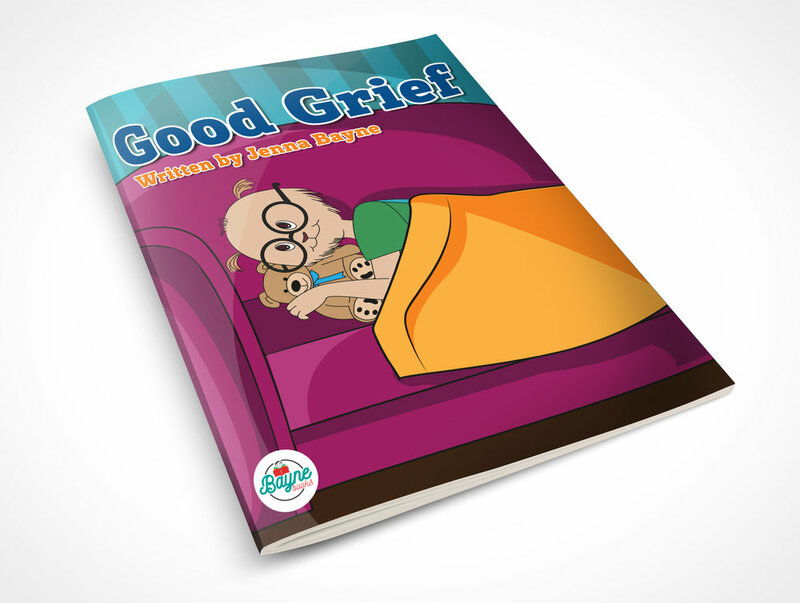 "GREAT NIGHT" helps your child fall asleep, stay asleep, and wake up rested and refreshed. Some of the best life lessons can be learned when you are connected to nature and enjoying nights at the campground. "Campground Rules" will help your child leave their campground cleaner than they found it, and their relationships better off than when they began. Take a step into the kitchen and learn grandma's secret recipe. Everything is better when it is "Made with Love." Dimes to dollars is another lesson about healing through the evolution of grief. It is about staying present through out life, and to notice the magnitude of brilliance, abundance and beauty in every moment.